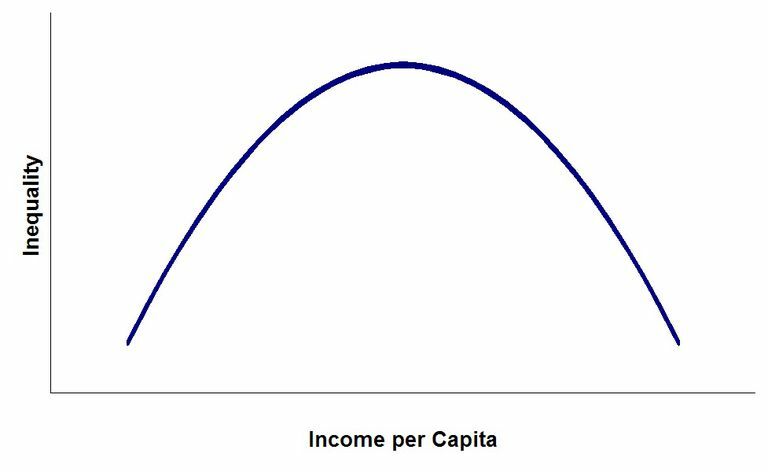 The Kuznets curve is a hypothetical curve that graphs economic inequality against income per capita over the course of economic development (which was presumed to correlate with time). This curve is meant to illustrate economist Simon Kuznets’ (1901-1985) hypothesis about the behavior and relationship of these two variables as an economy develops from a primarily rural agricultural society to an industrialized urban economy. In the 1950s and 1960s, Simon Kuznets hypothesized that as an economy develops, market forces first increase then decrease the overall economic inequality of the society, which is illustrated by the inverted U-shape of the Kuznets curve. For instance, the hypothesis holds that in the early development of an economy, new investment opportunities increase for those who already have the capital to invest. These new investment opportunities mean that those who already hold the wealth have the opportunity to increase that wealth. Conversely, the influx of inexpensive rural labor to the cities keeps wages down for the working class thus widening the income gap and escalating economic inequality. The Kuznets curve implies that as a society industrializes, the center of the economy shifts from rural areas to the cities as rural laborers, such as farmers, begin to migrate seeking better-paying jobs. This migration, however, results in a large rural-urban income gap and rural populations decrease as urban populations increase. But according to Kuznets’ hypothesis, that same economic inequality is expected to decrease when a certain level of average income is reached and the processes associated with industrialization, such as democratization and the development of a welfare state, take hold. It is at this point in economic development that society is meant to benefit from trickle-down effect and an increase in per-capita income that effectively decreases economic inequality. The inverted U-shape of Kuznets curve illustrates the basic elements of the Kuznets’ hypothesis with income per capita graphed on the horizontal x-axis and economic inequality on the vertical y-axis. The graph shows income inequality following the curve, first increasing before decreasing after hitting a peak as per-capita income increases over the course of economic development. Kuznets’ curve has not survived without its share of critics. In fact, Kuznets himself emphasized the “fragility of [his] data” among other caveats in his paper. The primary argument of critics of Kuznets’ hypothesis and its resulting graphical representation is based on the countries used in Kuznets’ data set. Critics say that the Kuznets curve does not reflect an average progression of economic development for an individual country, but rather it is a representation of historical differences in economic development and inequality between countries in the dataset. The middle-income countries used in the data set are used as evidence for this claim as Kuznets primarily used countries in Latin America, which have had histories of high levels of economic inequality as compared to their counterparts in terms of similar economic development. The critics hold that when controlling for this variable, the inverted U-shape of the Kuznets curve begins to diminish. Other criticisms have come to light over time as more economists have developed hypotheses with more dimensions and more countries had undergone rapid economic growth that did not necessarily follow Kuznets’ hypothesized pattern. 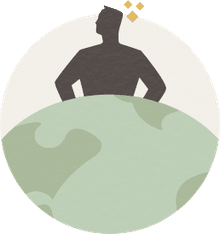 Today, the environmental Kuznets curve (EKC)—a variation on the Kuznets curve—has become standard in environmental policy and technical literature.